Jon Osorio is a musician, historian, and director of the University of Hawai'i's Center for Hawaiian Studies. 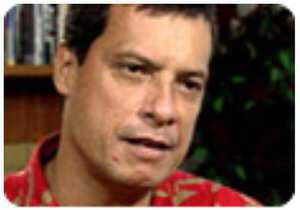 He is the author of Colonizing Hawai'i: The Cultural Power of Law. I think there was just a whole lot of paranoia especially coming out of the haole community and especially out of the Navy haole community when Thalia Massie claimed to be attacked. And one of the things that happens — largely as the result of a tremendous publicizing of this, especially in the Hearst newspapers in the United States — was this notion that white women were not safe here. 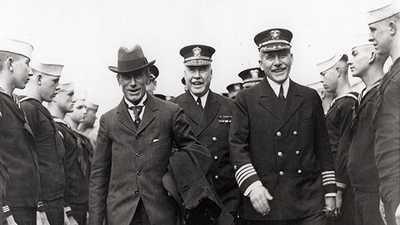 The whole issue of whether the United States ought to be in Hawai'i, whether Hawai'i ought to be a territory, for instance, and what kind of territory we should be, actually goes back to 1898, to the annexation days itself, in which there were tremendous debates among [U.S.] senators and congressmen over the difficulty, really, of "civilizing" a place like Hawai'i, not just because we have this native population, but because of the strong preponderance of Asian populations here as well. So the Chinese and the Japanese -- they were "not trustworthy" in a different way than natives were "not trustworthy." And that kind of discourse and a really powerful discourse, based on the notion that really only white Americans really understood the franchise, really understood citizenship, really understood what it meant to participate in a democratic society. That's just well known. That discourse is present and powerful and strong in this period. By the 1930s it's very clear America is going nowhere. They're not leaving the Islands and were there for good. But I think this is also a period of time in which many things have changed. The education system is making an effort to turn Hawaiians into American citizens. I think we have become accustomed, after many years, to treat injustice with grief, rather than with anger. And I think that that changes after Massie. I think that changes after Massie. And I think when the Hawaiians begin to see really the depths to which Americans will go to protect their own, even to betray their own values and their own institutions of justice, I think it resulted in a wiser Hawaiian community. When you get down to how these young men could have been in Leilehua at one point, on Leilehua Street and there around Ala Moana, in and around the same time, just the pure circumstances of it, seems to indicate that they certainly were not guilty. The other thing is the fact that she was not able to identify them when she first reported it and then after seeing their car in the parking lot at the police department where she was brought and then reporting that that was the license plate. This has led the defense attorneys in the case to point out that they were probably not guilty. There were really good reasons for the jury not to convict in 1931 and they followed their impulses. The whole question for the Americans at the time and the haole community was whether or not they had actually done their job as a jury. And as we look at it today, it certainly appears as though they did. The crime here was the commutation of the sentences, and the manifest unfairness of that is something that we would protest. We would call for the governor's dismissal on those grounds. The fact of the matter is that the judiciary did their job and it's important to let a judiciary do its job. It's important to allow the process, which has been set up to treat defendants fairly and equally. It's important to let them do their job. The person who didn't do his job was the governor, Lawrence Judd. And that would need to be, that would be something that would outrage us and make us very angry and certainly angry enough to march on the governor's offices. Having said all of that, it's also important to recognize that the atmosphere that allowed Kahahawai to be abducted and shot to death is something that we can never — we can never — allow to happen here again. The notion or the sense that justice can be pursued by a group of people because they know more, or they're better situated because of their race to adjudicate such matters, is something that can never be stomached by any kind of civilized society. 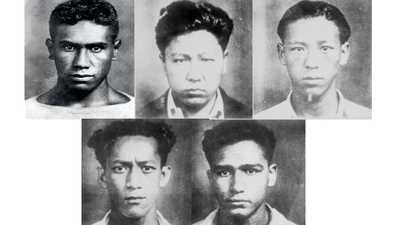 The suspects — two Native Hawaiians, two Japanese, and one Chinese-Hawaiian — would become known as the "Ala Moana boys." 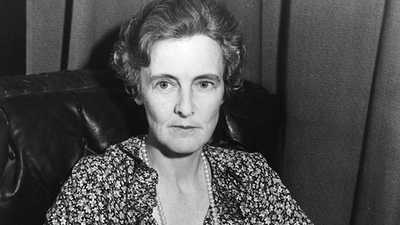 In Fortescue's mind, killing a man to save her daughter's reputation was completely and undeniably justified. It was clear that racist press coverage and American public opinion had played an important role in freeing the acknowledged murderers.